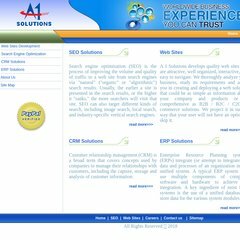 Topics: Website Packages, Web Sites Development, and Services. The estimated 40 daily visitors, each view 2.00 pages on average. Ecommerce Corporation (Ohio, Columbus) is the location of the Apache server. ns15.ixwebhosting.com, and ns16.ixwebhosting.com are its DNS Nameservers. The programming language environment is PHP/5.2.17. PING www. (98.131.112.1) 56(84) bytes of data. A ping to the server is timed at 44.1 ms.